IMPERIAL CHALLENGE | Maverick Sports Promotions - Where the athlete is first! The IMPERIAL CHALLENGE on April 13, 2019. If you’re looking for a tough honest challenge with a low-key community vibe then you’ve come to the right place. 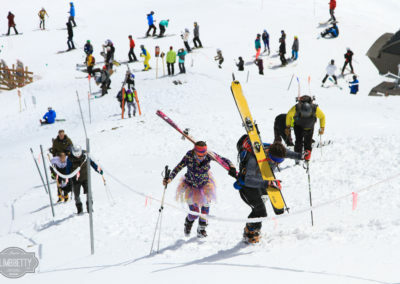 Entering its 28th year, The Imperial Challenge helps commemorate springtime in Breckenridge. Click these links for photos from past years! Thank you Climbbetty! When the Imperial Challenge first began everyone rode their bikes with their ski gear strapped on. Doc PJ has never done it any other way! While many competitors use the Gear Drop Off option, we maintain tradition with the Retro Open Women and Retro Open Men Categories. Competitors pedal with ALL their uphill and downhill gear. It is NOT necessary to pedal with ski boots on but you must bring boots with you on the bike. Awards will be presented to the Top 3 Males and Top 3 Females. Retro Open Starts at 10:00 with the Age Division Categories and are factored into the Overall. Age Division competitors are on BIKES for the first portion. This category is designed for those intending to compete in their age group and for the Overall. See the Gear Drop off section for details on that component. Most competitors in these categories go uphill on lightweight SkiMo setups (although that is NOT a requirement). 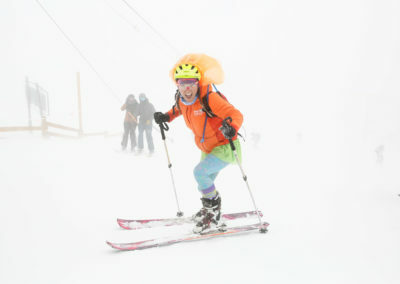 Age Division racers start at 10:00 and typically produce the fastest times in the event. The first place in each Age Division, with the Overall Top 3 removed, will be recognized. Over the years we’ve received feedback that the event has gotten super competitive (not necessarily a bad thing)! This is due to the introduction of lightweight SkiMo gear and basic human evolution…people just keep getting faster, more fit…you know the drill. The Imperial Challenge is for EVERYONE, regardless of what type of equipment you may choose or how much fitness you possess. So we’ve created a category that hearkens back to the good old days when the Imperial Challenge was more participatory…that is…it just didn’t matter how fast you were. You just wanted to be out there. If that describes you then you may consider Heavy Metal/Rec Open Men and Heavy Metal/Rec Open Women. This is for those that don’t want to worry about making the cut-off time (this category starts at 9:15), have a heavy set-up, just wanna have fun…you get the picture. *To be clear, you may compete in this category on lightweight equipment. You see, Heavy Metal/Rec Open is as much about your attitude as it is the equipment you’re using. That said, sandbagging is strongly discouraged and will be punishable by public shaming! We will recognize the Top 3 Males and Top 3 Females. One teammate races on the first section of the course (either running or riding). The second teammate does the Ascent and the Descent. 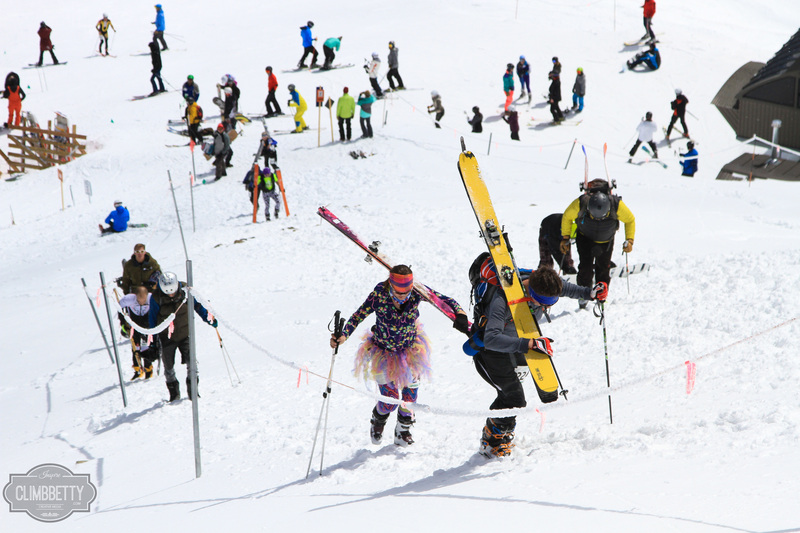 This category is designed for those that don’t want to do the whole course, don’t ski and can only do the Ride or the Run, or don’t Ride or Run and only want to do the ski! Thank you to Lynn and Skylor Drakos for bringing back the relay concept in 2018! REGISTRATION IS ONLY AVAILABLE FROM 4-6pm ON FRIDAY…NOTHING DURING THE DAY! 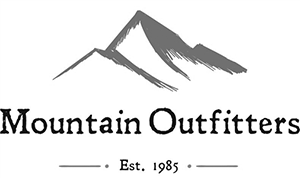 Friday, April 12, from 4-6pm at Mountain Outfitters. Packet pick-up will also be at the Breckenridge Recreation Center on race day April 13 beginning at 8:00 am. This is also the Race Start location. Last chance registration is on Race Day at the Breck Rec Center right up until start time…$5 day-of fee. At stop sign turn left onto Airport Road. Take second left into Rec Center parking lot. PLEASE PARK IN SOUTHERNMOST SPACES! 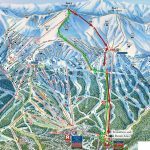 From the Rec Center to the base Peak 8 TO DROP OFF EQUIPMENT starting at 8:00. Turn left out of Rec Center parking lot onto Airport Rd. Turn right at light onto S. Park Ave.
Take right at next light onto Ski Hill Rd. Take Ski Hill Road to Peak 8 Base Area. 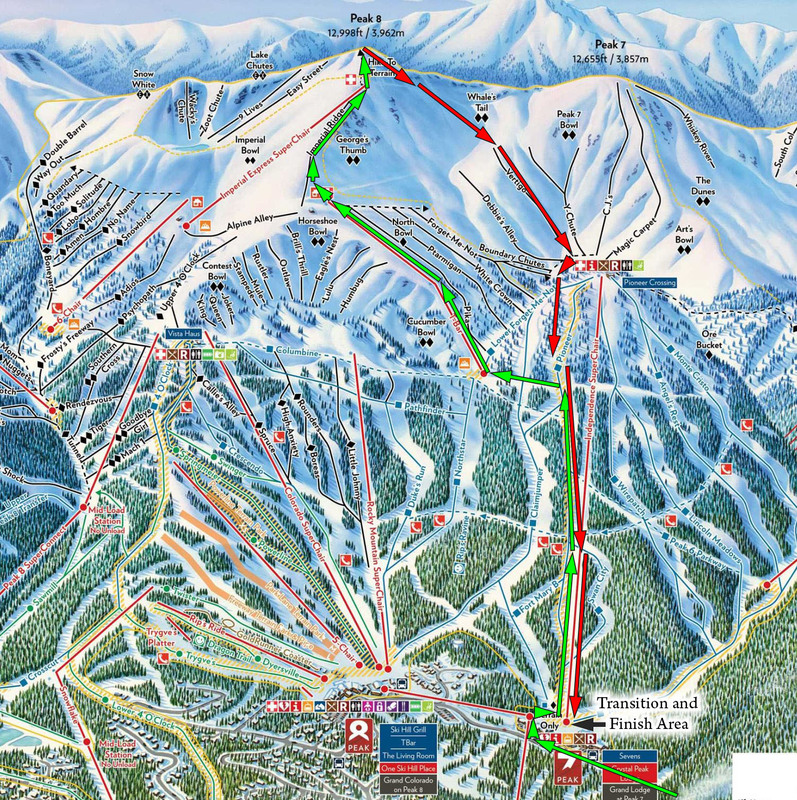 Continue just past gondola and turn left into 15 minute Drop Off area. From Rec Center, turn left out of Rec Center parking lot onto Airport Rd. Turn right at light onto Park Ave.
Take Left onto Watson Ave and immediate right into Gondola Paid Parking Lot. If you plan on hanging out at the Base of Peak 7 after 2:00 then please plan on bringing a lock for your bike. Bike Security will be staffed until 2:00pm. From then on your gear will be unattended! PLEASE USE THE FREE GONDOLA, BEGINNING AT 8:00, NO MATTER WHERE YOU PARK FOR THE DAY. The Gondola is approximately a 7 minute ride each direction. This is without a doubt the most hassle-free option for Gear Drop-off. The Transition area will be on the Patio at Crystal Peak Lodge adjacent to the Peak 7 Gondola Station. 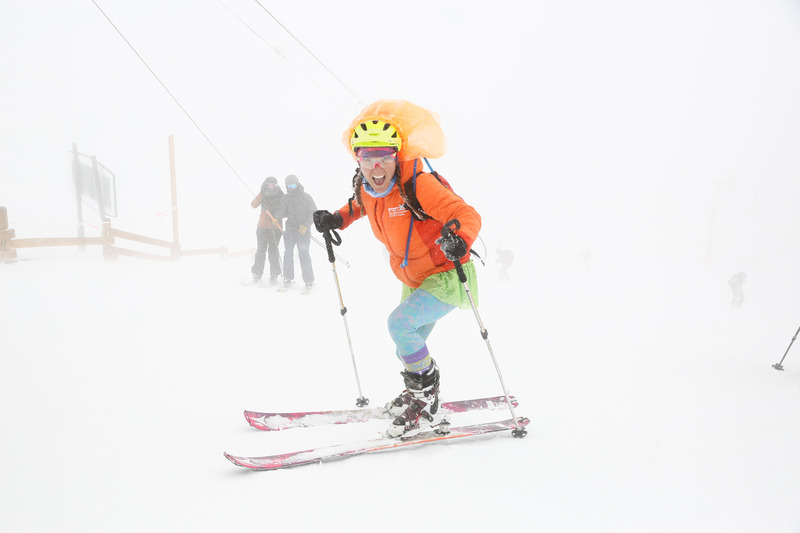 Ride the Gondola, beginning at 8:00am, to the base of Peak 7 and drop off your Ascent/Descent gear. 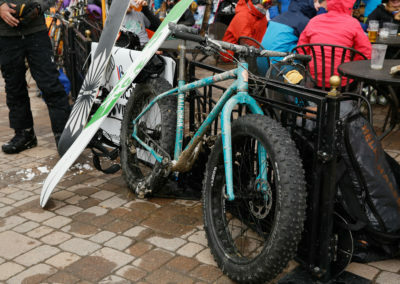 Then download Gondola to parking area, hop on your bike and ride to the start at the Breck Rec Center. Beginning at 8:00am you may drive your vehicle to the base of Peak 7 and drop off your Ascent/Descent Gear…but space is limited. Pull into the parking lot beneath the Gondola Station at Crystal Peak Lodge and be efficient with your time. All Day Parking is NOT available at Peak 7. FREE PARKING IS AVAILABLE AT THE BRECK REC CENTER. PLEASE USE PARKING SPACES ON THE SOUTH END OF THE LOT! Register in the Retro Division! Ride the Bike section with all of your gear and then you don’t have to use your car at all! HELMETS ARE MANDATORY FOR CYCLISTS DURING THE BIKE PORTION ONLY! The first portion of the Imperial Challenge is a Bike or Run from the Breckenridge Recreation Center on Airport Road to the base of the Breckenridge Ski Resort via County Road 3. The route is 6.2 miles and is on mostly dirt road. Total Elevation gain of this section is 950′ with 450′ of descending for a net gain of 523′. For cyclists…some choose Road Bikes, some choose Mountain Bikes. Your choice doesn’t matter to us, but choose wisely. And remember 2009 when it snowed a foot the night before the race! Runners will be led by a Town of Breck Police car north on Airport Road to the Upper Blue Elementary School. When sidewalk ends, merge onto Airport Road and stay on right side of road until you crest an obvious hill. Cross Airport Road and prepare to make left onto Barton Road with Deputy Sheriff’s Assistance. Ignore all minor roadways and continue on County Road 3. Turn Right at intersection of County Road 3 and American Way. This section of County Road 3 is also called Ski Hill Road. Turn right into Crystal Peak Lodge parking area. Neutral Start format from Rec Center north on Airport Road. Continue on County Road 3 (Ski Hill Road) to the base of Peak 7. At Registration you will receive a sticker with your race number. This sticker is to be applied to your handlebars. At the end of the race, your bib number is your claim check to get your bike back. Numbers match and you’re good to go! If you don’t want us handling your bike then have a support person of your own waiting for you and they can take the bike from you. We will provide Bike Security until 2:00 pm. After 2:00 we are no longer responsible for Bike Security. If you think you may like to hang out past 2:00 then stage a lock in the Transition Zone in the AM and you can lock your bike after you finish. The choice of UPHILL gear generates the most discussion! Factors including weight, comfort, transition times and performance are considered! 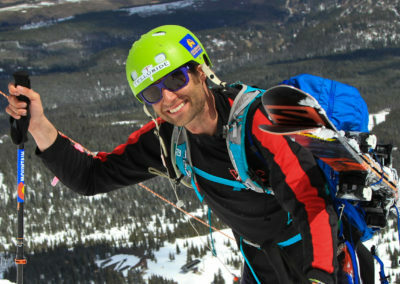 You will see racers on ultralight SkiMo gear. Others choose more traditional AT gear. 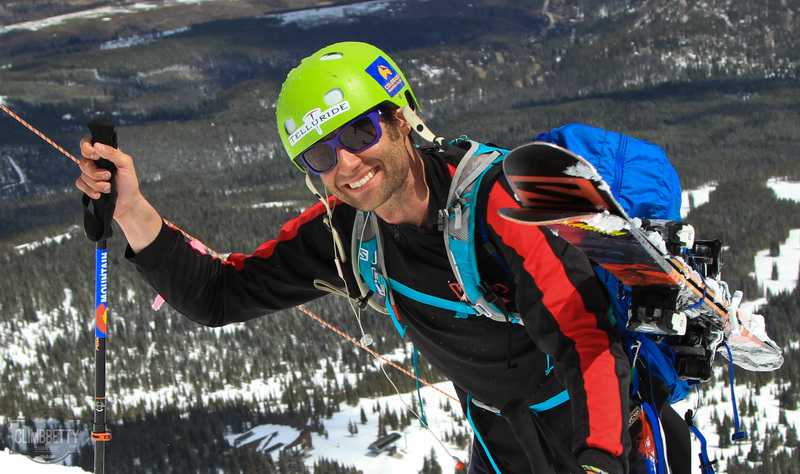 You’ll see splitboards and folks on snowshoes carrying gear in a backpack. It doesn’t matter how you ascend as long as the stuff you’re descending on has metal edges. Running cleats, sleds, skate/classic nordic skis are not allowed. *To be clear, Heavy Metal/Rec Open competitors may race on lightweight equipment. Heavy Metal/Rec Open is as much about your attitude as it is the equipment you’re using. That said, sandbagging is strongly discouraged and will be punishable by public shaming! 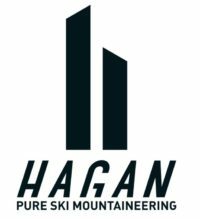 Conversely, you may compete in the Age Divisions on Heavy Metal gear…just be mindful of the 12:30 cut-off at the top of the T-Bar. Climb Pioneer and turn left onto the Summer Road to bottom of T Bar. Climb up T Bar lift line to top of T Bar. Turn left and then immediate right up Imperial Ridge: the shoulder of Peak 8. Continue climbing to very top of Peak 8 at 12987′ of elevation. Climb=3000’ of vertical gain. Medals will be presented to the Top finisher in each Age Category and Retro Open with the Overall Top 3 removed. Medals will be presented to Top 3 Place Overall Male and Female Heavy Metal/Rec Open finishers. Medals will be presented to the Top 3 Teams in the Team Relay, regardless of gender or equipment used. 1. Where is the best place to park? We recommend parking at the Gondola Lot ($12 or $7 with four occupants). The benefit is you can ride the Gondola (free) up to stage your Ascent/Descent gear. Then ride back down, grab your bike and go to the start. At the end of your race you can then ride down from the Finish with all your gear. GEAR DROP OFF CAN BE BUSY WITH LOTS OF CARS SO PLEASE CONSIDER USING THE GONDOLA FOR GEAR DROP OFF NO MATTER WHERE YOU PARK. Breck Rec Center, site of the Start Line. Any Town of Breck in-town parking. Helmets are mandatory for the RIDE portion only! 3. Where can I rent gear? 4. Will someone watch my bike while I Ascend/Descend? Yes! You will be given a sticker at Registration that corresponds to your race number. Put the sticker on your handlebars. To get your bike simply show us your race number and if they match up off you go! Bike Security will be provided until 2:00pm. If you want to stay longer than 2:00, and you don’t want to worry about your bike, then please stage a lock at the Transition Zone so you can lock up your bike when you are done racing. 5. What is going on after the race? 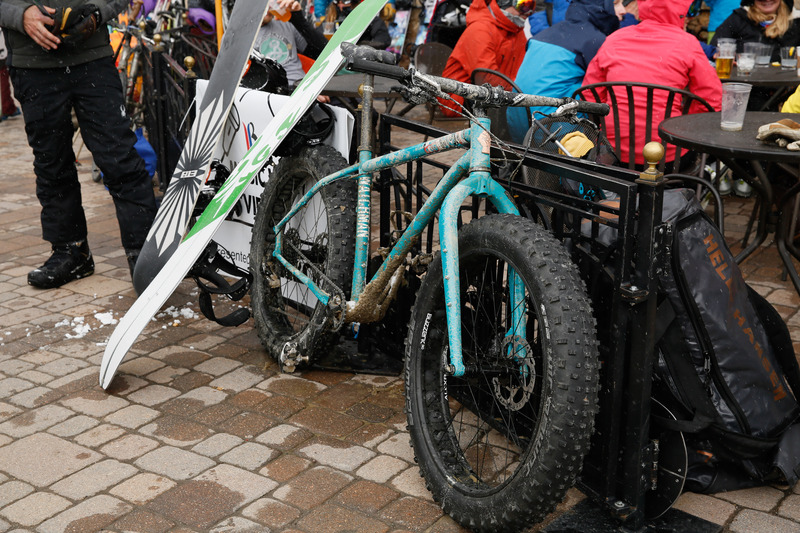 Bring your number plate to the T Bar and receive a free beer and discounted menu specials. 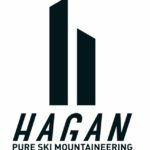 HAGAN SKI MOUNTAINEERING LIMITED OFFER!